LaValle Stadium has been the home of the Seawolves since it opened in 2002. 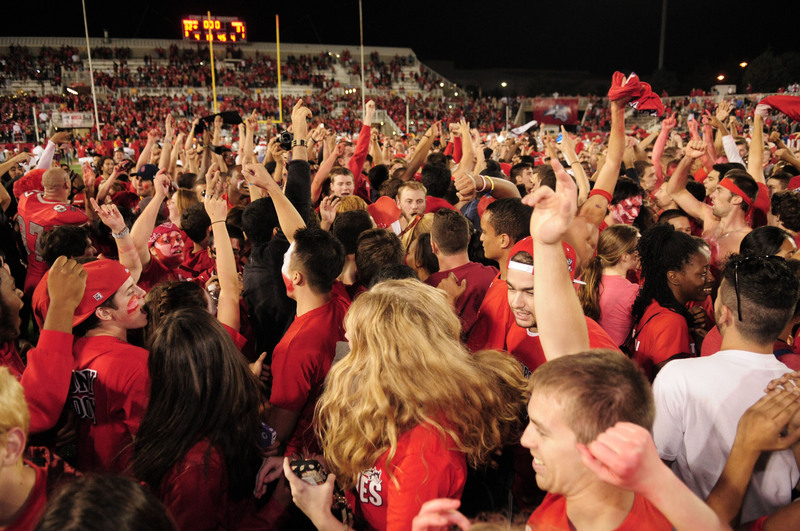 The Stadium has been the site of a victorious Homecoming Football game the past six years, in front of supportive crowds that cheered on Seawolves athletics. The most electric atmosphere to this point was when Stony Brook beat Albany in the first round of the FCS Playoffs last year. Something was different about this year. The streak is still alive, with Stony Brook now winning seven Homecoming gamesin a row. Wolfstock saw a record-breaking week, with jaw dropping attendance at every event. Wednesday was packed out with Seawolves for the Homecoming Kickoff Carnival. Thursday saw a full house of over 600 students, faculty and staff at the King & Queen Creative explosion. 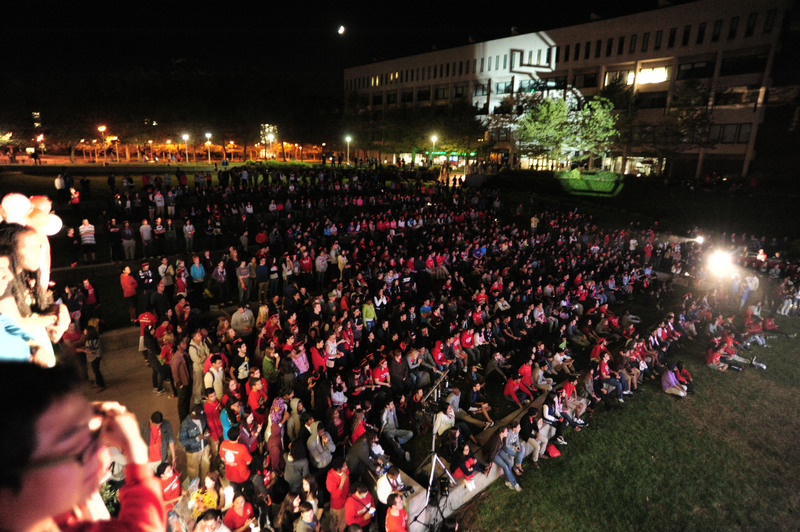 The Staller Steps were stuffed with hundreds of students like never before for the Seawolves Showcase. Saturday was the highlight – LaValle Stadium was bursting at the seams with a record shattering 10,278 fans in attendance, decked out in red, covered in paint and screaming their heads off. Fans rushed the field after a dramatic conclusion and they all looked up to watch as fireworks lit up the night sky. As Stony Brook continues to make tremendous strides, momentum is on our side. Wolfstock 2012: Be there on September 22! Please click here if you can’t view the evite image above. For more information visit www.stonybrook.edu/wolfstock. All Stony Brook students, faculty and staff with SBU ID can get a 15 percent discount on most products at Golfsmith in Lake Grove on Tuesday, May 15, from 6 pm to 8:30 pm. Get your red on and join Wolfie in this exclusive demo and shopping event. There will be vendors on site to demo various products as well as giveaways, raffles, contests and refreshments. Golfsmith is located at 3220 Middle Country Road. Contact Vincent Accardi in Athletics at (631) 632-9556 or at Vincent.Accardi@stonybrook.edu if you have questions. Stony Brook alumni, do you have a favorite picture with Wolfie?